Sinuous, elegant and completely in sync with the curves of the Ash wood this piece expresses its value of being one of a kind. The seat can be twine wrapped by hand according to Former's traditions, or upholstered in fabric or leather. 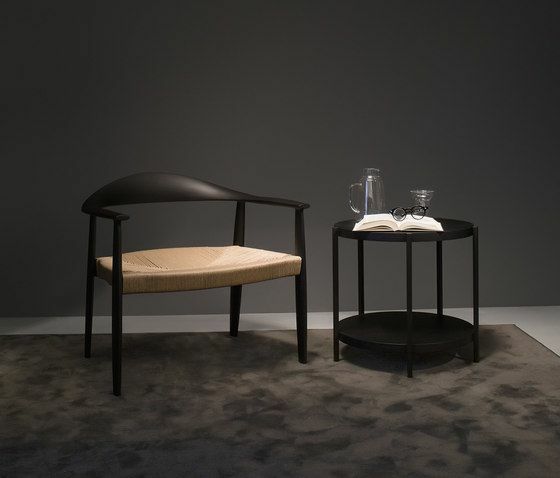 The Odyssèe XL armchair is the larger and cosier version of the Odyssèe chair designed by Pinuccio Borgonovo in 2014. It faithfully mimics the enveloping, flowing and sensual lines and uses the same materials, further enhancing the concept of comfort and cosiness. The artisan workmanship and close attention to details show off the design of the product, ensuring its excellence as is Former’s tradition.